The first thing I have to acknowledge for this year’s Fall and Film series, much like last year’s, is that the category pairings are completely arbitrary. This is not the result of poor planning on my part or just a general lack of understanding of film categories. Instead, it reflects the way I enjoy movies, especially when they are tied together by something like Halloween. Personally, I do not like to sit down and have a “zombie movie” night, a “vampire marathon,” or something of the like. I do not mind marathons like this, but I would rather mix it up. So for this week, I have chosen two unrelated stories that will put anyone in the mood for Halloween. If you haven’t seen The Blob, then this choice might appear surprising. How could a B-movie from the 1950s be remotely entertaining, especially in the context of a horror movie marathon in preparation for Halloween? I selected this movie for a few reasons. First, despite the premise, the movie’s acting is fairly solid (it stars Steve McQueen after all) and the special effects are an absolute treat to watch. Secondly, I would argue that the theme song is one of the catchiest songs in horror movie history. 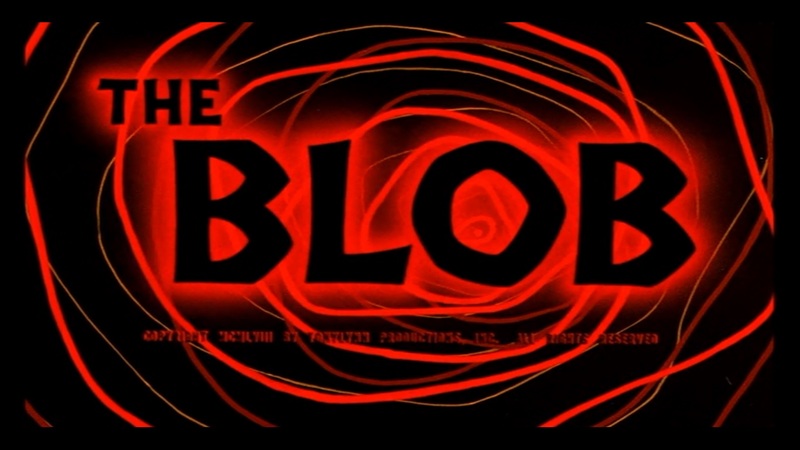 The final reason is the most important: The Blob is an incredibly entertaining movie! The amusing story and look of the film combined with some genuinely suspenseful moments make this a very enjoyable viewing experience. This movie is fun in a 30 year-olds playing teenagers kind of way. The film’s effects are very gratifying, with the use of some stop-motion and heavy use of miniatures. F or me, it is a refreshing break from the digital visuals of today. If you do not believe me as to its quality, then I submit this for evidence: The Blob is a worthwhile film by the sheer fact that it has received its own Criterion Edition DVD. The same company that takes great care in producing top quality DVDs and Blu-Ray for the likes of Akira Kurosawa and Ingmar Bergman found something worthwhile in Irvin Yeaworth’s The Blob. The film’s plot is straightforward. A small town is invaded by a blob from outer space. The mysterious mass consumes every living creature it comes into contact with, growing in size along the way. The teenagers of the town (lead by McQueen) must convince the adults of the impending doom, leading to a thrilling third act and conclusion. Certain themes of The Blob later became horror movie staples, such as teenagers attempting to warn adults of danger, the mysterious crash of an object from outer space, also witnessed by the teenagers (typically while at some kind of make-out point), and the town banning together to combat the invader. The film is pure entertainment, and for me, lacks the strong political overtones found in similar movies of the era, such as Invasion of the Body Snatchers (1956) and The Day the Earth Stood Still (1951). Finally, I just want to comment briefly on the look of the film. Filmed in the 1950s, it is an obvious snapshot of that period with its authentic look. Viewing it on the Criterion Edition DVD is a special treat, as the image is clear and the colors pop very well, making it a visually colorful film. I would highly recommend this drive-in classic for anyone this Halloween season. With the popularity of shows like The Walking Dead and American Horror Story, the horror genre has experienced renewed interest on television. Although I have not got into either of these shows (I will, they are in the Netflix queue), it reminds me of the times throughout the history of television when horror and suspense stories were popular. The Twilight Zone, Night Gallery, Tales From the Crypt, and Tales From the Darkside were all based around the short, anthology format with horror and science fiction elements providing the foundation. 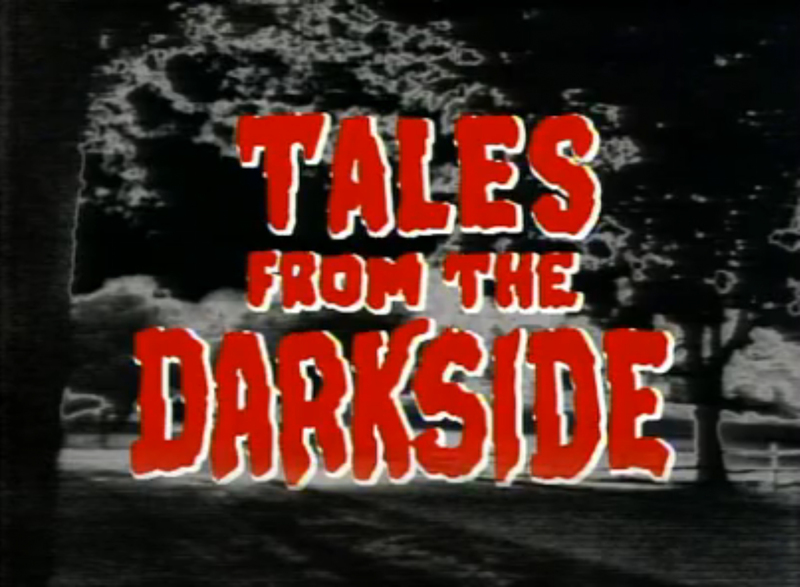 For this installment, I will discuss the pilot episode of Tales From the Darkside. At the outset, I must provide the disclaimer that I am very new to this series and have only made it through roughly the first half of season one. It first aired in 1983 and ended in 1988, making it a little early for me to remember (I am almost 30… you do the math). I was aware of and even watched a number of Tales From the Crypt episodes and who hasn’t recovered from a vicious hangover on New Year’s Day with Rod Serling and reruns of The Twilight Zone? Alas, I am still new to Tales From the Darkside and to be honest, it is hard to not enjoy it. With names like George Romero, Stephen King, and Clive Barker attached to it, the series certainly had talented people. That is all I want to say about the plot, as the episode lives up to the Halloween spirit by being surprising and creepy. Again, the entertainment value of this episode comes primarily from the format of the story, putting the viewer into a chilled mood that fits perfectly with the Halloween season. This episode, along with the rest of the series, is available on DVD and YouTube. Put this one on late at night or with friends during a party; it is guaranteed entertainment. That covers this week’s Fall and Film series. 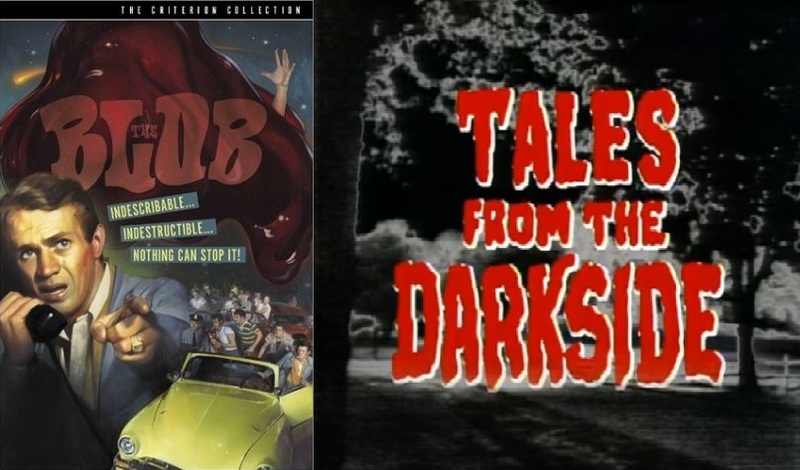 I hope you have the chance to check out The Blob and Tales From the Darkside. Both are excellent fun and the perfect lead up to the best holiday of the year. Next week, the Fall and Film series returns with the next installment. Thanks for reading! This entry was posted in Movies and tagged Anthology Shows, B Movies, Fall and Film, film, Film series, George Romero, Halloween, Halloween season, Horror, horror movie, Horror Movies, Steve McQueen, Tales From the Darkside, The Blob. Bookmark the permalink. 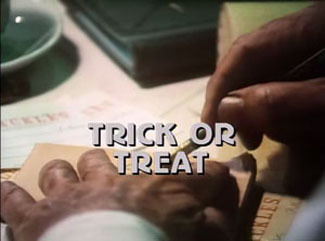 Trick or Treat and Halloween Candy are two must watch episodes of Tales From the Darkside around Halloween! :). I haven’t seen Halloween Candy… now I am intrigued! Like I said, I am new to the series and have only made it through half of the first season. I will definitely check that one out!